What to look for in dental chews for dogs? 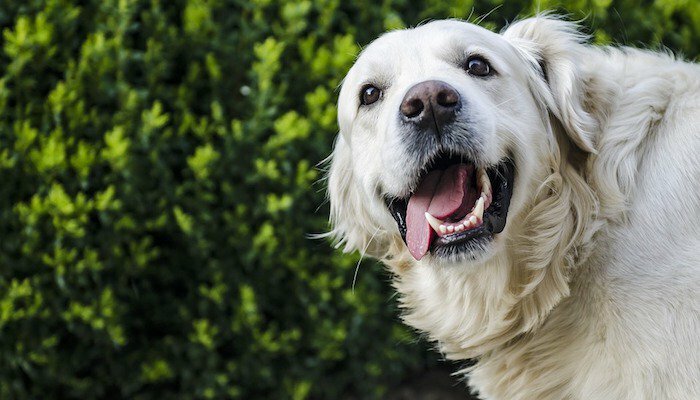 How can I keep my dog’s breath fresh? How many dental chews can my dog have in a day? Oral health is extremely important for dogs since many breeds are prone to bad breath, teeth loss, irritated gums and more. 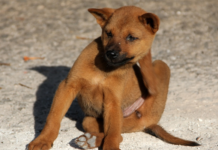 Almost every dog gets to experience one or several of these unpleasant symptoms during their lifetime, and it can quickly turn into a medical emergency followed by an expensive veterinary visit. The best thing you can do is to try and prevent mouth diseases in your favorite fur pup, by brushing their teeth regularly, and by providing dental chews for general upkeep. A good dental chew will be a real treat for your dog, while also caring for their sensitive gums and teeth. Keep those fangs white and shiny, while also keeping your pup satisfied and entertained, with quality dental chews. Below you will find a few healthy options, to spare you from wasting time on products that don’t live up to their promises. Make your pup happy with these tasty dog dental chews, made by a veterinary recommended brand and successful in controlling tartar build-up on the dog’s teeth. 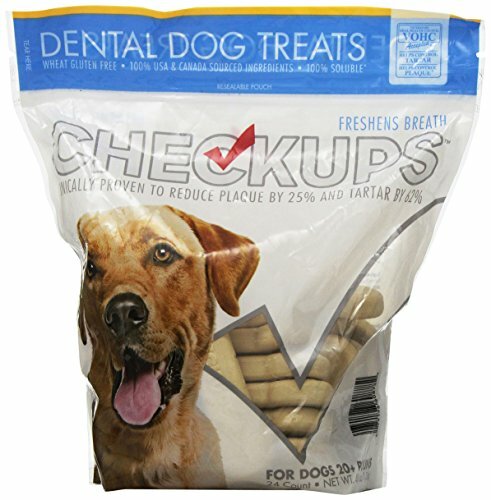 These dog dental treats are great for efficiently reducing plaque and calculus, and it is recommended for dogs to have one each day (check feeding recommendations to make sure it applies for your dog, as it may vary depending on size and weight) to promote a healthy mouth and fresh breath. 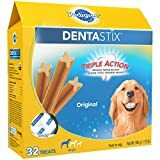 There is also the option to choose a smaller size for these dog dental sticks, which is ideal for small-breed dogs and for pups that need smaller portions for other reasons. Why We Like It – These vets recommended dog dental chews are both delicious and help clean the teeth of your favorite fur friend. No more bad breath and you can choose a smaller size for your tiny pups, or just break the bigger ones into pieces. Shaped like a toothbrush, these dental chews for dogs are both charming, effective in combating tartar and plaque, they taste good and are a long-lasting special treat with a purpose. Everyone wants to find the best dental chews for dogs in their household because nobody wants their beloved fur friend to have to deal with oral diseases such as bad breath and teeth loss. These are made with natural ingredients, are easy to digest and has added vitamins and minerals, which means your pup will be getting more than just a thorough teeth-cleaning with these delicious treats. Are Greenies good for dogs? No, they are more than that – they are great, and your pup is sure to love them. Why We Like It – Dental treats for dogs come in many shapes and flavors, and these are shaped just like a toothbrush! 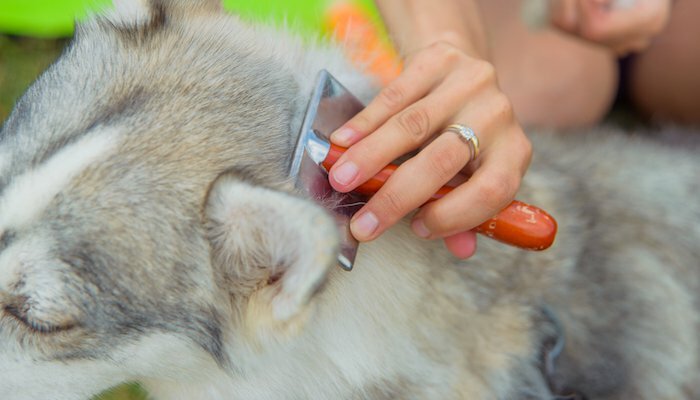 Your pup might not care much about the shape, but it is designed to reach all the way down to the gums, to remove buildup, food debris and more. 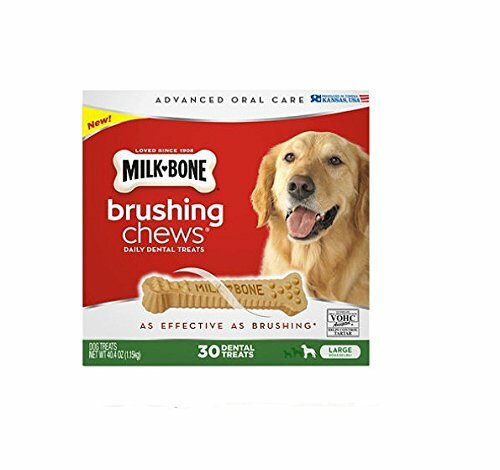 A clever double brush design helps clean your pet’s teeth as he or she chews enthusiastically, and it is among the best dog teeth cleaning treats you can find. The flavor is enough to convince even the pickiest eater, it freshens the breath and it is infused with coconut and botanical oils. These dog teeth cleaning chews are completely natural and contain no potato or grains, making them ideal for dogs that are used to a grain free diet, since they won’t upset their stomachs by reintroducing something they don’t usually eat. As a plus, these healthy and irresistible dental dog chews are cooked and packed in the United States. 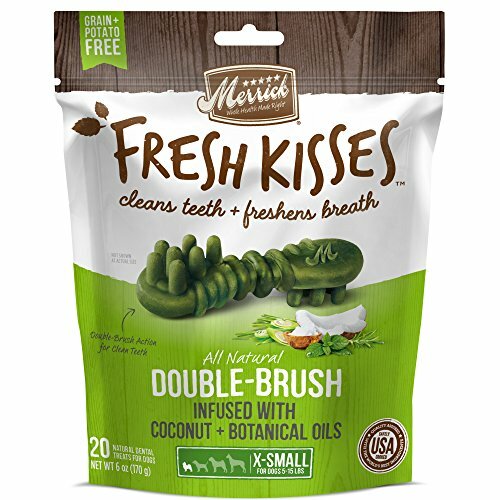 Why We Like It – If your doggies have bad breath that stops you from wanting to snuggle with them, or from accepting kisses, then you will love these freshening dog teeth cleaning treats! They are infused with real coconut and are so tasty that your pups will quickly be begging for more. These toothbrush-shaped goodies are nutritionally complete dental sticks dog owners and dogs will love! 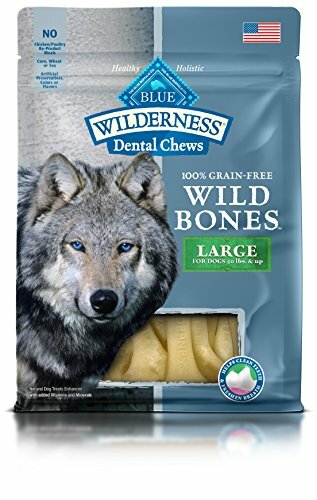 They are similar to the brand’s regular dental chew bone for dogs, but grain free to suit the needs of those owners who prefer not to feed treats with grain. The shape is made to slow down eating and prevent the pup from devouring the dental chew too fast, since this could affect the efficiency and the success of the product, in terms of removing plaque and tartar. 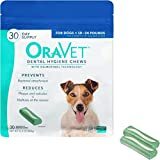 Where most of the best dog dental chews break when bitten into, this revolutionary dental treat bends, helping it to last longer even when exposed to enthusiastic chewers. 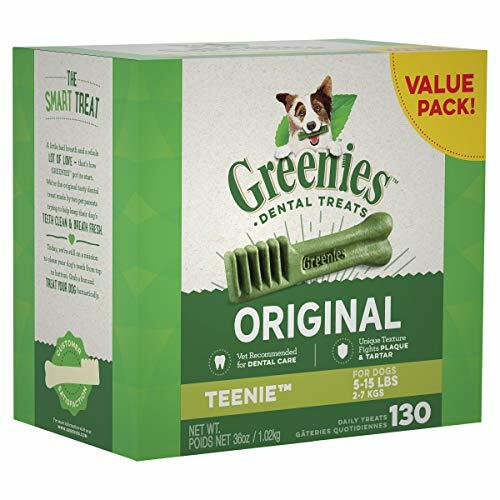 Why We Like It – Have you ever asked yourself what the best dental treats for dogs are, or “Are Greenies safe for dogs,”? If so, you can stop wondering! This is a product that offers the best dog dental treats you can hope to find, and they are 100% safe and healthy for your pup to consume! Being both wheat and gluten free, these dog treats for teeth cleansing are ideal for dogs with food allergies or sensitive stomachs. They remove stinky dog breath; something that might otherwise scare away your guests and raise a wall between you and your pup since you won’t exactly jump up and down at the chance of a smelly kiss, and they contain Omega 3 fatty acids which are known to do miracles inside a dog’s body. These dental bones for dogs promise a plaque reduction of 25% and an expected reduction of tartar by up to 62%. These are impressive numbers and the manufacturer is anything but shy, which isn’t strange considering how they are making dental sticks for dogs in need that live up to their promises. Why We Like It – The success-rate presented by the manufacturer of these stick products is quite impressive, and what is even better is that it’s true! When it comes to dog dental chews reviews are very telling, and users from all over the world seem to praise this product online. 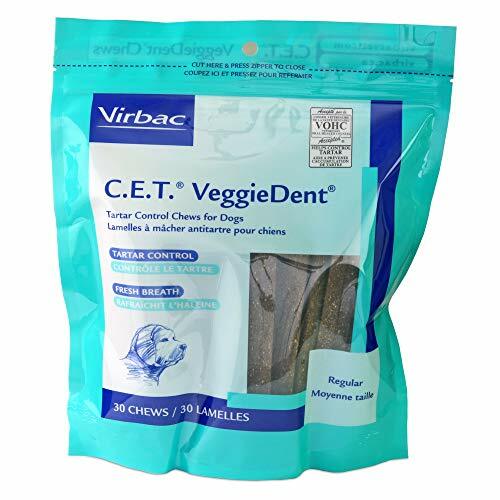 Many of the best dental sticks for dogs are so easy to chew that your pup will finish it within seconds, which is why Virbac has figured out a new way to make them! Beef-hide naturally helps remove tartar and plaque from your dog’s teeth, it lasts longer than the average product and it is laced with Chlorhexidine for improved cleansing. The delicious poultry flavor will catch your pup’s attention from the second you open the bag, and it will give them something to entertain themselves with while you get dinner ready after work. It is the perfect combination of a durable chew and a dental cleaning aid; working instantly to keep your fur friend’s mouth clean and healthy. Why We Like It – Some dogs will finish even the best dental dog treats within a second or two, but these rawhide chews are made to last longer while providing the same care for your pup’s teeth and mouth. Treat your pups to some of the best dog teeth cleaning chews in the world, and notice an almost instant difference in how their breath smells! No more stinky dog kisses, and you will greatly reduce the risk of having to take your pup in for emergency dental care. It is always better to prevent issues than to try to have them fixed later, and with this product, you know you are getting the best treats for dogs teeth specialist veterinarians recommend. One daily chew reduces plaque and calculus, and you choose between the available treat sizes according to your dog’s weight. Why We Like It – With these treats, it takes longer for your dog to finish them, which opens the door for a more though teeth-cleaning experience. Big plus for the different sizes available, since both big dogs and small dogs need quality teeth care. Say no to by-product meals, corn, soy and wheat, as well as artificial colors, flavors and preservatives, with these quality treats! They are the best dog treats for teeth and mouth health, if you want to keep things as natural as possible for your pup. Delicious and meaty taste (achieved with real meat and nothing artificial) that even a picky eater won’t be able to say no to, and they are grain-free just like all other Blue Wilderness dog food products. Thanks to this quality product, you can take care of your dog’s mouth, gums and teeth without having to resort to chemicals or unnatural ingredients and additives. Why We Like It – This is a dog food brand known for their quality products, and it is no surprise they have come up with a recipe for the best dog chews for cleaning teeth and mouths of our best fur friends. No harmful ingredients, all natural and highly effective. 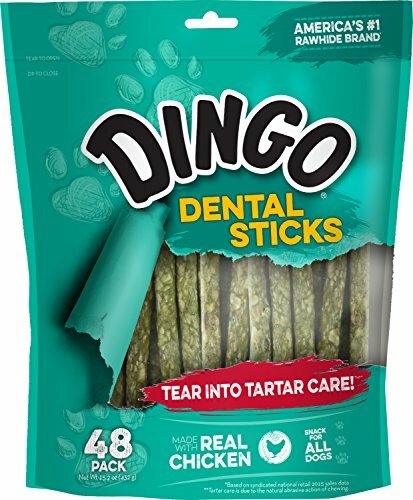 Fresh parsley seed and baking soda have been added to the original Dingo Munchy Stix, to make it a force to be reckoned with in the strive to keep your pup’s mouth free from tartar and hard-to-get-rid-of plaque. They are among the best dog breath treats you can find, and your doggie is sure to love munching during snack time! It gently massages the gums; removing everything that shouldn’t be in there – leaving your pup’s mouth cleaner and fresher smelling than ever before. There is real chicken in the middle, to reward your pup a little extra, and there are no harmful ingredients or artificial preservatives. Why We Like It – With the best chews for dogs teeth will stay shining white and tartar free! These yummy sticks can be broken into smaller pieces for smaller dogs, or to be used as smaller snacks throughout the day. The Milk-Bone has been a loved dog treat since they started making them in 1908, and it is a must-have for many dog owners. 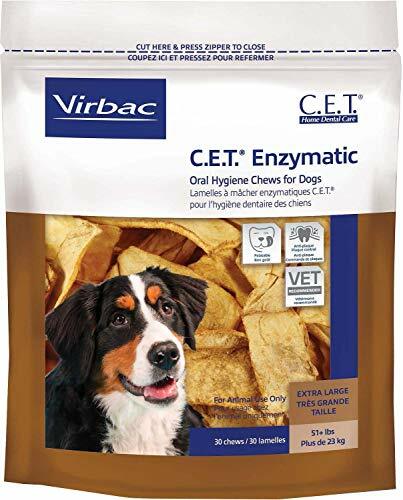 The brand now has a new version made to support oral health; while still having that little extra that makes dogs fall in love with it at the first bite. This patented dental twist bone has calcium to strengthen teeth and a design that allows it to gently remove plaque and tartar and prevent it from coming back. It has the Veterinary Oral Health Council seal of approval for tartar control, and each piece contains 12 additional vitamins that can help boost your pet’s health. Why We Like It – Why change a winning concept? If your dog is a Milk-Bone lover, then you can make things easy and offer his or her favorite thing, but with an orally friendly twist! 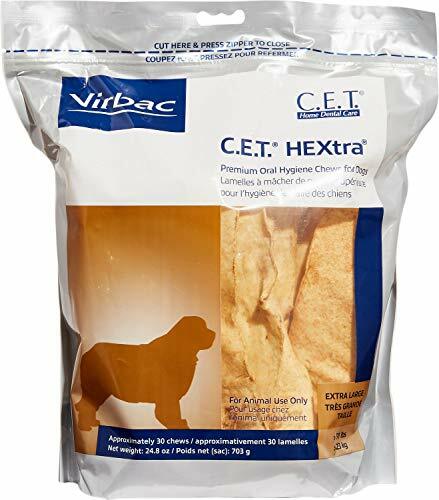 Takes care of both tartar and calculus, and tastes just as delicious as a regular Milk-Bone! 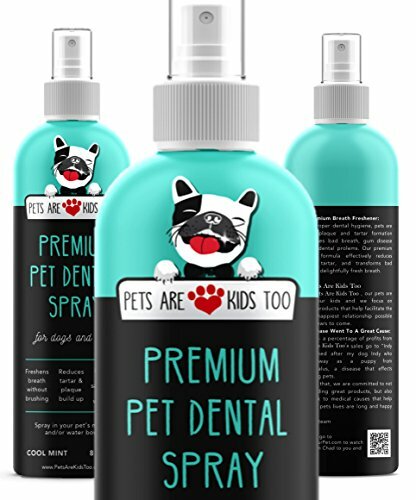 Whatever you can do to help keep your pet’s mouth and teeth healthy is good, so why not compliment those dental chews with this highly efficient Pet Dental Spray! It removes plaque and prevents gum disease, while also keeping your dog’s breath smelling fresh and clean. Do right by your dog and provide them with a good dental chew product to help keep their teeth free from tartar buildup and plaque, as it can help prevent unpleasant oral diseases which are likely to result in sky-high veterinary bills. Every responsible dog owner wants what’s best for their dog, and the teeth are something you might easily forget about! 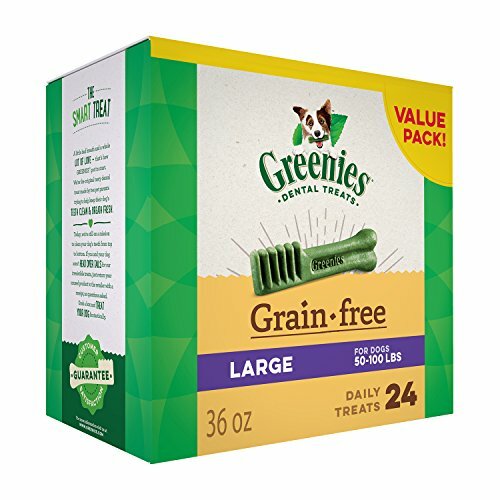 It is normal to have a lot of thoughts and questions in the beginning, such as: Are Greenies bad for dogs or are they good? Do vets recommend Dentastix or a different brand? Having questions is not only normal – it is good, as it motivates you to want to look closer at products, to find the perfect one for your pup. Once you have decided to get the best dental bones for dogs in your family, it is time to start weeding out the low-quality products, but we have tried to do that for you by recommending 10 quality dental sticks, that are both healthy and free from artificial ingredients. 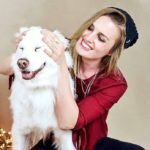 If you want to learn how to separate the good from the bad yourself, here is some of what you should be looking at, and what you need to be thinking about when feeding them to your dog. It is not just dog food that should preferably be made with natural ingredients, but dog treats and dental chews too! 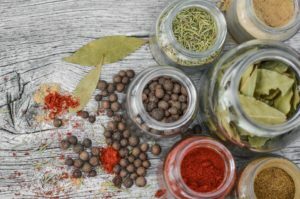 Have a quick look at the list of content, to make sure there aren’t too many things on there that you can’t figure out what they are and stay away from products with artificial coloring; since some food, colors have been linked to cancer and other diseases (Red #40 being one example). A quality product will almost always be very open about its ingredients – proud even – so if you are having trouble figuring out what is in the dental chews you are considering for you’re are probably better off looking elsewhere. Remember that while your dog will eat these like they are dog treats, they usually have some pretty strict feeding recommendations. How many chews your dog can have per day will depend on the product, and on your pup’s weight and size, so make sure you read the packaging carefully and don’t overfeed. This applies with regular treats as well but is even more important with dental treats, and overfeeding can lead to an upset stomach. It is not enough to just give treats to prevent oral problems, and you want to make sure to brush your dog’s teeth regularly (always use a toothpaste made especially for dogs), and possibly also consider a professional dental cleanse at the vet’s office once every two years or so. Providing quality dog food is another way to prevent buildup on the teeth, so pay special attention to what is in the dog food you have chosen for your pup. There are also liquid additives you can put in your pup’s water bowl, to help prevent that expensive vet visit one the dental problems are already present. You want a product that has natural ingredients, not too much sugar, a shape that promotes cleaning of the teeth and for the product to last a while since it is usually the chewing itself that helps get rid of tartar and plaque. Quality kibble (wet food does not clean the teeth the same way kibble does, so if you feed a wet diet, you might want to provide your pup with daily chew treats), brushing the teeth regularly and daily dental chews are a good way to start. It is important to remember that dogs are dogs, and they eat stinky stuff on walks sometimes, which can make it difficult to stay completely clear of bad breath, but by taking care of your pup’s teeth – your chances of a stink-free kiss become a lot higher. 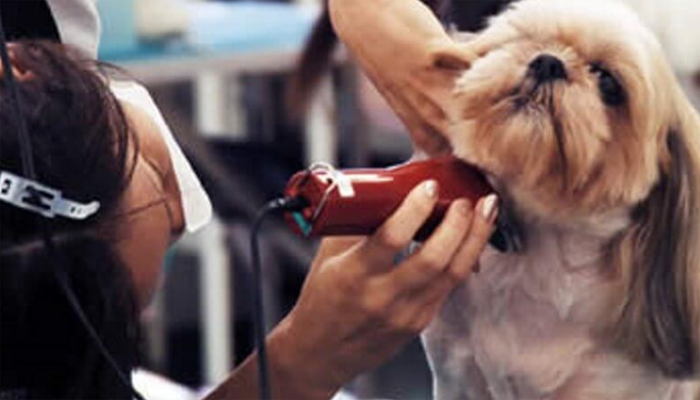 This will be specified on the product packaging and is usually calculated depending on your dog’s weight and size. If you are unsure, you should always consult your veterinarian for guidance and advice. Do your fur buddy a favor and give them a treat that will keep their mouths happy and healthy, and spare them from unpleasant conditions like teeth loss, bleeding gums, gum disease, and bad breath. Quality dental treats are made to taste delicious so that your pet will consider it a fun reward, while also looking out for their general wellbeing. Chewing is known to be good for a dog’s teeth, so your job is to determine what treats would be good for a dog to chew on, and which one should be avoided. Remember that a dental chew treat is not a supplement for brushing your dog’s teeth, but more of a recommended compliment. Not all treats sit well with all dogs, so you always want to keep an eye on your pet after first starting them on a new dental treat. 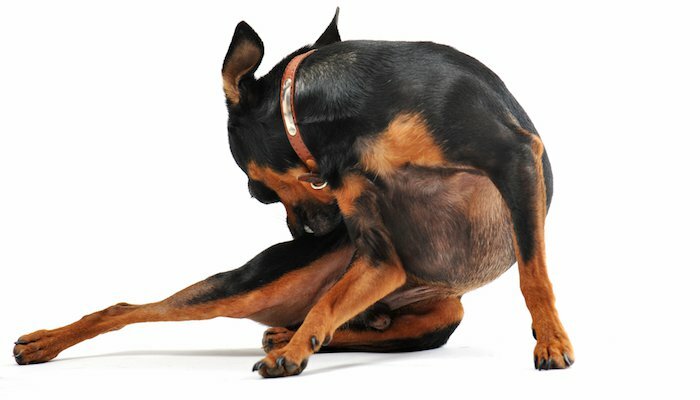 It is normal for a dog’s stomach to react to changes in their diets; which may or may not include the introduction of a new treat, so don’t be too surprised if they present signs of loose stool in the beginning. If it persists, however, you will want to consult your veterinarian or try a different dental chew. Adult dogs usually have 42 teeth, where adult cats only have 30.